For circulating insulin to act on the brain it must cross the blood–brain barrier (BBB). Remarkably little is known about how circulating insulin crosses the BBB’s highly restrictive brain endothelial cells (BECs). Therefore, we examined potential mechanisms regulating BEC insulin uptake, signalling and degradation during BEC transcytosis, and how transport is affected by a high-fat diet (HFD) and by astrocyte activity. 125I–TyrA14-insulin uptake and transcytosis, and the effects of insulin receptor (IR) blockade, inhibition of insulin signalling, astrocyte stimulation and an HFD were tested using purified isolated BECs (iBECs) in monoculture and co-cultured with astrocytes. At physiological insulin concentrations, the IR, not the IGF-1 receptor, facilitated BEC insulin uptake, which required lipid raft-mediated endocytosis, but did not require insulin action on phosphoinositide-3-kinase (PI3K) or mitogen-activated protein kinase kinase (MEK). Feeding rats an HFD for 4 weeks decreased iBEC insulin uptake and increased NF-κB binding activity without affecting insulin PI3K signalling, IR expression or content, or insulin degrading enzyme expression. Using an in vitro BBB (co-culture of iBECs and astrocytes), we found insulin was not degraded during transcytosis, and that stimulating astrocytes with l-glutamate increased transcytosis, while inhibiting nitric oxide synthase decreased insulin transcytosis. Insulin crosses the BBB intact via an IR-specific, vesicle-mediated transport process in the BECs. HFD feeding, nitric oxide inhibition and astrocyte stimulation can regulate BEC insulin uptake and transcytosis. The online version of this article (doi: 10.1007/s00125-017-4285-4) contains peer-reviewed but unedited supplementary material, which is available to authorised users. Insulin’s actions on the central nervous system (CNS) have been well documented. Intracerebroventricular insulin administration robustly decreased food intake and body weight in rats  and baboons . This effect was decreased in insulin-resistant Zucker rats or rats fed a moderate- or high-fat diet (HFD) [3, 4, 5], but was restored by weight loss . In humans, insulin resistance is associated with increased rates of dementia and Alzheimer’s disease . Despite important CNS actions, how (or whether) circulating insulin accesses the brain interstitial fluid (bISF) or neuronal tissues remains uncertain. Using autoradiographic methods, van Houten et al. [8, 9, 10, 11] and others [12, 13] demonstrated saturable binding of labelled insulin to brain blood vessels, consistent with a receptor-dependent process. Isolated human and bovine brain capillaries also bound radiolabelled insulin and released it in a time-dependent manner [14, 15]. However, these studies did not resolve whether intact insulin was bound to the vessel exterior, internalised by brain endothelial cells (BECs), transported across vessels, or degraded by insulin degrading enzyme (IDE) or other proteases either on the BECs  or in brain tissue . Recent imaging studies have delineated the ‘glymphatic’ circulation of cerebrospinal fluid (CSF) [18, 19, 20], whereby ventricular CSF flows to the subarachnoid space before entering the Virchow–Robin space (VRS) that parallels penetrating pial arterioles into brain tissue. Compounds crossing the BECs, the first layer of the blood–brain barrier (BBB), mix with CSF in the VRS and must then cross astrocyte endfeet that form the VRS’s lateral boundary to reach the bISF. This admixture within the bISF may flow into the VRS along venules and function to clear waste from the brain to the lymphatics along dural veins or to the venous circulation via arachnoid granulations (reviewed ). Numerous studies have reported low insulin concentrations in CSF, as well as a slow transport of circulating insulin into CSF [21, 22, 23]. Mathematical modelling of circulating insulin entry into CSF suggested a three-compartment model in which bISF was predicted to be an unsampled ‘intermediate’ compartment with plasma insulin crossing the BBB, then passing through bISF and eventually entering CSF . The frequent use of CSF in multiple studies as a bISF ‘surrogate’ assumes some validity to this model. However, no study has validated this model of intact insulin entry into CSF by transport across the BBB. This is understandable as neither bISF nor the VRS compartment is accessible to sampling without tissue damage. We recently compared the rate of 125I-TyrA14-insulin transport into brain tissue with its movement into CSF and found its appearance in brain tissue preceded its appearance in CSF and that this was mediated by the insulin receptor (IR) and blunted by HFD feeding . However, these studies were unable to differentiate insulin appearance in brain tissue from its binding and potential uptake into the BECs. To date, no work has elucidated the path by which BECs internalise insulin or clarified whether 125I-TyrA14-insulin crosses the brain endothelium without degradation. Given the importance of brain insulin action and paucity of information on BBB insulin transport, we undertook a detailed study of the mechanisms that regulate insulin uptake by, action on, and transcytosis across BECs using human and rat BECs and an in vitro BBB model. The rat provides a historical model for examining brain insulin transport and sufficient tissue to compare dietary effects between individual animals. We hypothesised that, similar to the peripheral endothelium , insulin transport would be mediated by its receptor and downstream signalling through phosphoinositide-3-kinase (PI3K) and NO generation, and that transport would be decreased in rats fed an HFD. Additionally, we hypothesised that astrocyte stimulation would increase BEC insulin transcytosis. Three preparations of BECs were used: commercially available rat brain microvascular endothelial cells (RBMVECs; Cell Applications, San Diego, CA, USA), freshly isolated rat BECs (iBECs) and human BECs (hBECs). Isolated astrocytes were employed in a transwell co-culture system. RBMVECs, passages 5–10, were cultured as per the manufacturer’s recommendations. iBECs were isolated from Sprague Dawley rats using a previously established method  (see ESM Methods ‘Harvest of iBECs’). iBECs were 98% CD31+ by flow cytometry, expressed claudin-5, and had increased phosphorylated Akt in response to insulin stimulation (see ESM Methods ‘Flow cytometry’ and ‘Immunofluorescence’, ESM Fig. 1). hBECs were a gift from J. Catravas and were 99% positive for DiI-Ac-LDL (acetylated DiI-labelled LDL) uptake and endothelial nitric oxide synthase (eNOS) expression . hBECs were cultured in DMEM/Ham’s F12 medium (F12) with HEPES and l-glutamine, 10% FBS, endothelial cell growth supplement (Corning, Corning, NY, USA), heparin (Sigma-Aldrich, St Louis, MO, USA) and Anti-Anti . Astrocytes were isolated from Sprague Dawley rat pups at postnatal day 3–10 as per established protocols . Astrocytes were positive for GFAP (glial fibrillary acidic protein) by immunofluorescence (see ESM Methods ‘Immunofluorescence’, ESM Fig. 2) and western blot. To test whether HFD feeding affected iBEC insulin uptake and signalling, male Sprague Dawley rats (Charles River, Wilmington, MA, USA) aged 8 weeks were fed a normal chow diet (ND) or HFD (60% lipid, Research Diets, New Brunswick, NJ, USA) for 4 weeks before BEC isolation (see ESM Methods ‘Animal studies’). Prior to tissue collection, rats were weighed and trunk blood collected for non-fasting body weights and serum insulin concentrations, respectively. In total, 44 animals were used (21 ND/23 HFD). When 90–95% confluent, cells were serum starved for 4, 2 or 1 h (RBMVECs, iBECs, hBECs, respectively) then incubated with 200 pmol/l 125I-TyrA14-insulin (Perkin Elmer, Waltham, MA, USA) for 15 min in HEPES binding buffer (HBB) and uptake measured as previously described  (see ESM Methods ‘125I-TyrA14-insulin uptake assay’). For pharmacological studies, cells were pretreated with drug 30 min prior to insulin addition. Blood was collected from ND and HFD rats immediately prior to the rats being killed. Insulin was measured with a rat-specific insulin ELISA (Mercodia, Uppsala, Sweden) or an ultrasensitive ELISA (Alpco, Salem, NH, USA). RNA was extracted from iBECs and real-time quantitative RT-PCR was used to determine expression levels of IR-β (Insr β) and IDE (Ide). See ESM Methods ‘RNA/cDNA preparation and RT-PCR’. IR expression and downstream insulin signalling was assessed by immunoblot (see ESM Methods ‘Immunoblotting’). For pharmacological experiments, drugs were added 30 min prior to incubation with 10 nmol/l insulin. Nuclei were isolated from cultured ND and HFD iBECs using a nuclear extraction kit (Active Motif, Carlsbad, CA, USA) and were positive for Lamin A/C (Cell Signaling 2032, 1:500 dilution) nuclear marker upon western blot. We measured nuclear NF-κB p65 binding activity using a TransAM Transcription Factor ELISA (Active Motif), normalised to protein and compared with a standard curve of recombinant NF-κB p65 protein (Active Motif) as per the manufacturer’s instructions. For transcytosis assays, co-cultures of isolated astrocytes and iBECs were used as an in vitro BBB [32, 33] (see ESM Methods ‘In vitro blood–brain barrier co-cultures’). Barrier integrity was assessed by measuring transendothelial electrical resistance (TEER) (EndOhm, WPI, Sarasota, FL, USA) and expressed as Ω × cm2. Peak TEER (reported as mean ± SD) was achieved on day 5 when transcytosis experiments were performed. Prior to the experiment, the iBEC monolayer and astrocytes were washed once in HBB. Then, the basolateral chamber received equivolume mixture of DMEM/F12 with IGF-1 and astrocyte-conditioned media and the apical chamber received HBB. In transcytosis experiments, either native or heat-denatured (HD; 70°C for 90 min) 125I-TyrA14-insulin (200 pmol/l) was added to the apical or basolateral chamber. HD-125I-TyrA14-insulin is a control for paracellular leak . Following insulin incubation, the total fluid volume from the apical and basolateral chambers was collected, quantified on a gamma counter, and adjusted for efficiency. To estimate insulin transcytosis for all conditions, HD-125I-TyrA14-insulin was subtracted from 125I-TyrA14-insulin. To investigate iBEC regulation of transcytosis, apical chambers were pretreated for 15 min (S-961) or 30 min (all other drugs) before addition of native or HD-125I-TyrA14-insulin (200 pmol/l) for 30 min. To investigate astrocyte-mediated regulation of insulin transcytosis, glutamate was added to the basolateral chamber 30 min before addition of insulin. Thapsigargin was added 30 min before glutamate. Drug manufacturers are listed in ESM Table 1. 125I-TyrA14-insulin degradation was determined by elution profile from a Sephadex G-50 (medium, Sigma-Aldrich) column as previously established . Briefly, samples were loaded onto a 50 cm column and eluted with 0.15 M ammonium bicarbonate buffer, 0.02% BSA and 5% sodium azide, pH 8.0. Column elution fractions were quantified on a gamma counter, adjusted for efficiency, and expressed as disintegrations per min (DPM). To verify that the column elution profile discriminates intact from degraded insulin, 125I-TyrA14-insulin (200 pmol/l) was incubated with or without HepG2 cells overnight at 37°C. 125I-TyrA14-insulin samples collected after transcytosis assays were compared with native and HepG2-degraded insulin elution peaks. Animal studies were conducted in accordance with the Guide for the Care and Use of Laboratory Animals, NRC 2011 and approved by the University of Virginia Animal Care & Use Committee. Experimental replicates and individual rats are shown as dot plots in each figure. Experimenters were not blinded. 125I-TyrA14-insulin uptake data were log10-transformed and analysed with a one-way ANOVA or hierarchical linear mixed model if there were missing values. Data were excluded in cases of experimental error. Non-normally distributed groups were compared with the Mann–Whitney U test. Normally distributed groups were compared using an unpaired t test, paired t test or one-way ANOVA. Post hoc testing is specified where employed. Significance was declared at p < 0.05 and a trend towards significance at p ≤ 0.10. TEER values are presented as mean ± SD and all other data are presented as means ± SEM. RBMVECs exposed to physiological concentrations of 125I-TyrA14-insulin (200 pmol/l) internalised the tracer within 5 min and uptake continued for 60 min (ESM Fig. 3). Uptake was rapid and approximately linear between 0 and 15 min; therefore 15 min incubations were used for subsequent experiments. We previously reported that the IR-specific antagonist S-961 blocked 125I-TyrA14-insulin uptake by RBMVECs, while IGF-I receptor blockade did not . Figure 1a shows similar findings in hBECs. Excess unlabelled insulin (2 μmol/l) and S-961 pretreatment (10 nmol/l or 20 nmol/l) blunted 125I-TyrA14-insulin uptake. Pretreatment with an IGF-1 receptor antibody, Ab-3 (1 μg/ml), did not decrease hBEC insulin uptake (Fig. 1a). Insulin (10 nmol/l) treatment for 15 min increased AktSer473 phosphorylation in hBECs and RBMVECs, which was blocked by pretreatment with 10 nmol/l or 20 nmol/l S-961 in both human and rat cells (Fig. 1b, c). Importantly, IGF-1 receptor blockade did not decrease insulin-stimulated Akt phosphorylation. These results confirm our earlier rodent studies and identify a role for the IR in hBEC insulin transport. In bovine aortic endothelial cells, blocking insulin signalling with wortmannin, genistein or PD98059 decreased FITC-insulin endocytosis . Treating RBMVECs with these agents did not affect 125I-TyrA14-insulin uptake (ESM Fig. 4). The brain endothelium is highly restrictive because of its tight junctions and multiple efflux pumps, with the latter preventing BEC accumulation of numerous compounds and lipophilic pharmacological agents . Therefore, we confirmed that wortmannin (100 nmol/l) and genistein (50 μmol/l) inhibited insulin-induced AktSer473 phosphorylation in RBMVECs (ESM Fig. 5a, b). 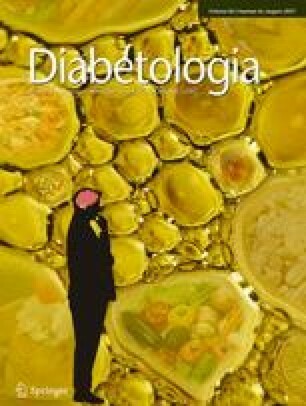 Insulin did not consistently increase extracellular signal-regulated kinase (ERK) phosphorylation and PD98059 (25 μmol/l) inhibited basal ERKThr202/Tyr204 phosphorylation (ESM Fig. 5c). In aggregate, these findings suggest insulin uptake by RBMVECs does not require insulin-stimulated signalling. Next we tested whether inhibiting lipid rafts or vesicle endocytosis affected insulin uptake. Pretreating RBMVECs with filipin (5 μg/ml) or methyl-β-cyclodextrin (MβCD, 10 mmol/l) prior to 125I-TyrA14-insulin exposure decreased tracer uptake (Fig. 2). MβCD had a greater effect than filipin (p = 0.004, Tukey’s post hoc). MβCD depletes and filipin binds cholesterol in lipid rafts, suggesting that intact raft formation/function is necessary for insulin endocytosis. Neither pretreatment with dynasore (40 μmol/l), which inhibits dynamin-mediated scission of internalised endocytic vesicles from the plasma membrane, nor with PP1 or PP2 (10 μmol/l), inhibitors of Src-kinase, which is implicated in facilitating caveolae- and clathrin-mediated endocytosis, decreased 125I-TyrA14-insulin uptake. Since NO regulates insulin uptake in aortic endothelial cells [36, 37], we tested whether eNOS inhibition would affect insulin uptake in RBMVECs. Pretreatment with N ω-nitro-l-arginine methyl ester (l-NAME, 200 μmol/l) did not significantly decrease 125I-TyrA14-insulin uptake. Pretreatment of RBMVECs with NO donors, (S)-nitroso-N-acetylpenicillamine (SNAP) or sodium nitroprusside (SNP), at several concentrations did not affect 125I-TyrA14-insulin uptake (ESM Fig. 6). These results suggest that the brain endothelium regulates insulin uptake differently from peripheral vasculature. In vivo, 4 weeks of HFD feeding decreased brain insulin clearance , so we purified iBECs from male Sprague Dawley rats fed a ND or an HFD (60% lipid) ad lib for 4 weeks. iBECs were cultured for 5–7 days before experiments. HFD rats weighed more than ND rats (479 ± 10 vs 430 ± 9 g, p < 0.01, n = 17 per diet). Non-fasting insulin concentrations (HFD = 1.53 ± 0.31 ng/ml, ND = 0.94 ± 0.23 ng/ml, n = 17 per diet) did not differ (Mann–Whitney test, p = 0.14). iBECs from HFD rats had 30% lower 125I-TyrA14-insulin (200 pmol/l) uptake compared with ND rats (p < 0.01, Fig. 3a). In aortic tissues, HFD feeding can increase NF-κB p65 activity . Nuclei from HFD iBECs had increased NF-κB p65 binding activity compared with ND iBEC nuclei (p < 0.05, Fig. 3b). Insulin (10 nmol/l, 15 min) increased AktSer473 (Fig. 3c, d) and eNOSSer1177 (ESM Fig. 7a) phosphorylation comparably in iBECs from ND and HFD rats (n = 4 per diet). Insulin did not affect ERKThr202/Tyr204 phosphorylation in either group (ESM Fig. 7b). Expression of endocytotic proteins caveolin-1 and clathrin heavy chain did not differ between diet groups and insulin did not increase caveolin-1Tyr14 phosphorylation in either group (data not shown). We also compared IR and IDE expression to assess whether this might be driving differences in insulin uptake. We did not detect differences in IR-β mRNA, IDE mRNA or IR-β protein between iBECs from ND and HFD rats (Fig. 3e–g). Using our in vitro BBB, we first measured the time course for transcytosis of 200 pmol/l 125I-TyrA14-insulin or HD-125I-TyrA14-insulin added to the apical chamber (TEER 362 ± 38 Ω × cm2). Transcytosis of 125I-TyrA14-insulin (corrected for paracellular leak) increased linearly, with 0.4% of the added 125I-TyrA14-insulin (132 ± 33 fmol) transcytosed at 15 min, rising to 2.4% (728 ± 241 fmol) at 60 min (Fig. 4a). Using linear regression (R 2 = 0.99), we estimated this transport rate at 13.1 fmol/min. To assess the symmetry of this transport, we measured insulin transcytosis 30 min after adding 125I-TyrA14-insulin to the apical or basolateral chamber (TEER 439 ± 55 Ω × cm2). We found insulin’s movement from apical to basolateral or from basolateral to apical was comparable (Fig. 4b), indicating that transport is bidirectional. The brain expresses IDE [17, 39], some of which is localised to the BEC , and previous reports hypothesise the BEC lysosomes degrade insulin . We confirmed that 125I-TyrA14-insulin incubated with HepG2 cells was rapidly degraded , giving an elution peak distinctly different from intact 125I-TyrA14-insulin (Fig. 4c, insert). By contrast, media collected from basolateral chambers 30 min after adding 125I-TyrA14-insulin to the apical transwell chamber eluted similar to 125I-TyrA14-insulin that was not exposed to BECs (Fig. 4c). Similar results were observed in the apical chamber (ESM Fig. 8). Thus, we conclude that insulin is transported across iBECs without being degraded. To test IR’s role in transcytosis, iBECs were pretreated with 10 nmol/l S-961 for 30 min before adding either 200 pmol/l 125I–TyrA14-insulin or HD-125I-TyrA14-insulin to the apical side of the transwell insert (TEER 284 ± 72 Ω × cm2). S-961 specifically decreased insulin transcytosis (p < 0.05, Fig. 5a), affirming IR’s role in insulin uptake and transcytosis. Dynasore decreased transcytosis by 40% (p < 0.05), while filipin did not decrease transcytosis significantly (Fig. 5b, TEER 440 ± 84 Ω × cm2). MβCD greatly increased paracellular leak (>200%) and therefore was not investigated further. Knowing neurovascular coupling regulates IGF-1 transcytosis , we investigated whether astrocyte stimulation affected insulin transcytosis. Using our BBB model, we treated the astrocytes in the basolateral (‘brain’) chamber with l-glutamate (100 μM) before adding 200 pmol/l 125I-TyrA14-insulin to iBECs in the apical (‘blood’) chamber. Glutamate increased insulin transcytosis across the iBEC monolayer by 30% (p < 0.05, TEER 473 ± 182 Ω × cm2, Fig. 6a), without affecting HD-125I-TyrA14-insulin transport. Apical pretreatment with l-NAME for 30 min decreased 125I-TyrA14-insulin transcytosis (p < 0.05, TEER 429 ± 115 Ω × cm2, Fig. 6b) and adding glutamate (basolateral) with l-NAME (apical) restored insulin transcytosis to control rates (TEER 534 ± 42 Ω × cm2, Fig. 6c). l-NAME and glutamate treatment did not affect HD-125I-TyrA14-insulin transcytosis. Glutamate can increase calcium signalling in astrocytes . We pretreated astrocytes with thapsigargin (1 μmol/l) to increase cytosolic calcium 30 min prior to glutamate or vehicle treatment for an additional 30 min (TEER 476 ± 45 Ω × cm2). Thapsigargin alone trended towards increasing 125I-TyrA14-insulin transcytosis (p = 0.07, Fig. 6d). Thapsigargin and glutamate co-treatment increased transcytosis vs vehicle (p < 0.05, Fig. 6d) but the effect was not additive with glutamate, consistent with glutamate acting by increasing astrocyte cytosolic calcium. Thapsigargin increased HD-125I-TyrA14-insulin transcytosis, but increased transcytosis persisted after correcting for this. The results presented here demonstrate that BEC insulin transport is IR-dependent, but does not require intact insulin signalling through PI3K. Second, insulin transport requires lipid raft functionality, consistent with a vesicular endocytotic process. Third, despite the presence of proteases, such as IDE, insulin remains intact during BEC transcytosis. Fourth, insulin transport can be regulated by astrocyte stimulation, as evidenced by glutamate-induced increases in transport. Finally, in vivo, HFD feeding has sustained effects to diminish insulin uptake and increase basal NF-κB binding activity in cultured iBECs. Multiple studies have demonstrated saturable insulin binding to brain microvessels or retention by brain tissue, consistent with IR-mediated transport. However, these studies did not eliminate a role for IGF-1R or IGF-1R/IR hybrid receptors present on endothelial cells . Our use of the specific IR-blocker S-961 and physiological insulin concentrations strongly support IR-facilitated insulin transport at physiological insulin concentrations. Inhibition of insulin-stimulated PI3K signalling did not decrease insulin uptake, suggesting BECs regulate insulin transport differently from aortic endothelial cells . Insulin stimulates ERK phosphorylation within 15 min in bovine aortic endothelial cells. We did not detect ERK phosphorylation and cannot implicate any role for this in BEC insulin transport. However, vesicular transport of insulin appears to be conserved between peripheral and brain ECs. Our studies emphasise the importance of lipid raft formation and dynamin-mediated vesicle budding for insulin uptake and transcytosis. Filipin did not decrease insulin transcytosis despite inhibiting uptake. This may be due to residual serum in the conditioned media in the basolateral chamber, which may have reversed filipin action . We are unaware of prior studies of insulin transport across an intact in vitro BBB. Miller et al. preloaded bovine BECs for 30 min with 125I-TyrA14-insulin before measuring an additional 90 min of tracer efflux. After 30 min efflux, they found <5% of insulin was degraded as assessed by trichloroacetic acid precipitation . Unfortunately, neither TEER nor permeability markers were measured, making it difficult to resolve whether the luminal or abluminal membrane mediated efflux. In our studies, TEER and HD-125I-TyrA14-insulin measurements indicated tight iBEC monolayers and insulin degradation was not detected in the apical or basolateral media of iBECs. Glutamate’s action to increase insulin BEC transcytosis suggests astrocytes can regulate BBB insulin transport. Neuronal activation and subsequent downstream release of astrocyte-derived factors facilitates IGF-1 BBB transcytosis . In response to glutamate, astrocytes increase cytosolic calcium and secrete factors such as prostaglandin E2 or epoxyeicosatrienoic acids, which may influence BEC transcytosis [41, 45]. While NOS blockade reduces astrocyte glutamate uptake , we observed that glutamate stimulation of astrocytes rescued l-NAME-induced decreases in insulin transcytosis. It is possible that these are acting through unrelated mechanisms and that the glutamate action on astrocytes induces the secretion of factors that counteract the eNOS inhibition in iBECs. l-NAME and NO donors did not affect insulin uptake, which may be due to methodological differences or may suggest a role for NO in regulating either intracellular vesicle trafficking or exocytosis (i.e. steps beyond uptake). Thapsigargin treatment of astrocytes tended to increase transcytosis, yet did not differ significantly from combination of thapsigargin and glutamate. This suggests elevated cytosolic calcium may mediate glutamate-stimulated increases in insulin transcytosis across the BEC layer. Elucidating the regulation of BEC transcytosis merits further investigation. The decrease in 125I-TyrA14-insulin uptake by iBECs from rats fed an HFD for 4 weeks is particularly intriguing. Mechanistically, we did not find evidence for altered canonical insulin signalling to Akt or eNOS. However, increased oxidative stress, acting via increased NF-κB binding activity, may contribute. While we  and others [3, 4, 6, 47] found a delay of insulin entry into or action in the brains of HFD-fed animals, this is the first study to our knowledge to report impaired insulin transport at the level of the BEC. Our co-culture findings, as well as recent work regarding insulin signalling in astrocytes [48, 49], may suggest a role for astrocytes in the effect of an HFD on BBB insulin transport. Given the clinical importance of brain insulin resistance, the latter possibly warrants further investigation. We previously reported that brain insulin uptake in vivo is ∼40-fold greater than its transfer to CSF . While production of insulin within brain tissue has been reported , our studies strongly indicate that insulin detected in the brain can originate from plasma. Insulin’s transport across the BBB occurs first at the BEC, involves IR (not IGF-1R or IGF-1R/IR hybrids) and lipid rafts, and there is no detectable degradation of insulin during transcytosis despite the presence of IDE and other proteases. Finally, the ability of HFD feeding and astrocyte activation to affect insulin transport highlights the complex and multifaceted regulation of insulin’s entry into brain. These results materially advance our understanding of the pathways involved in brain insulin transport, highlight the previously unrecognised role of the astrocyte in BBB insulin transport, and offer potential pathways for ameliorating central insulin resistance. The authors thank J. Catravas (Old Dominion University, Norfolk, VA, USA) for the gift of human cerebral endothelial cells, Novo Nordisk for the gift of S-961, M. Thorner (University of Virginia) for thoughtful critique of the manuscript, J. Patrie (University of Virginia) for statistical assistance, and P. Xu (University of Virginia), J. Gildea (University of Virginia) and L. Zhao (Sun Yat-sen University, Guangdong, China) for technical assistance. We thank the staff of the UVA Keck Center for Cellular Imaging for imaging support. This work was supported by NIH (DK073059) and ADA (11-BS6) to EJB, and NIH (T32 HL007284, F31 DK104521) and AHA (PRE20100048) to SMG. Funding for the UVA Keck Center for Cellular Imaging for the usage of the Leica SP5 and Zeiss LSM 780 was provided by NIH (RR025616 and OD016446). SMG and EJB conceptualised and designed the experiments. SMG and KWA performed the experiments and acquired the data. SMG, KWA and EJB analysed and interpreted the data, wrote the manuscript and approved the final version for publication. EJB is the guarantor of this work.